I recently decided to break down and purchase a day pack for use on day hikes and hopefully even some solo overnight trips. 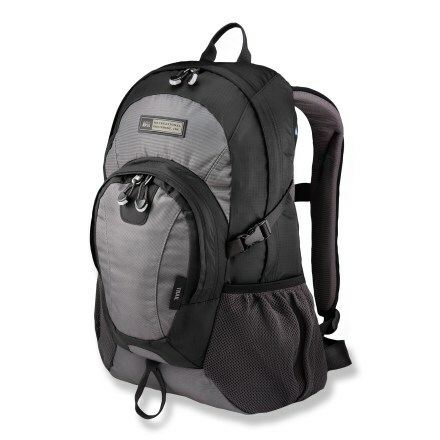 In my search I was recommended this pack from the REI Outlet store. The pack is normally marked $45, but it was on clearance as last years model for $29. While it was a little smaller than I wanted, I figured it was definitely worth a shot at this price. So, I purchased the pack and in four short days it was sitting on my doorstep! I also bought one of these day packs but haven’t had a chance to use it yet. Thanks for the review and packing list. I can’t believe such a great pack is is under $30.00. The 2009 version is much better than the 2010: Better shoulder straps and padding back-padding set-up. Keep up the blog. I really like it.